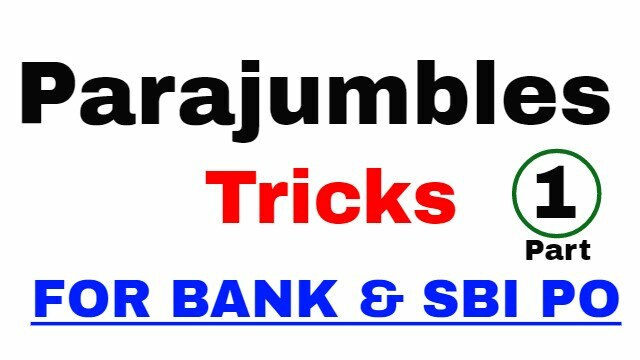 Tricks to Solve Para Jumble Sentence Questions In Bank, SSC, Railway and Other Competitive Exam. 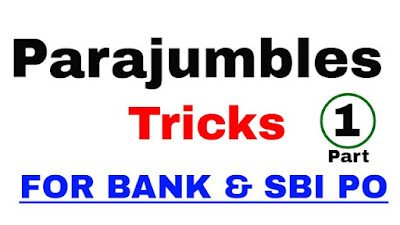 Para Jumble Sentence Questions are commonly asked in all the Competitive Exam.Here in this Article we sharing some Tricks using which you can easily find connecting sentence without reading sentence again and again. Paragraph jumble or jumbled paragraph is one of the most important question types in Bank entrance exams. Para jumbles test your understanding of thought flow. In simple words they test are you able to identify a coherently formed paragraphs. Paragraph jumbles come in different flavors. Since there are 5 questions linked to a single paragraph jumble, solving it is important. These questions can be solved by following specific strategies. 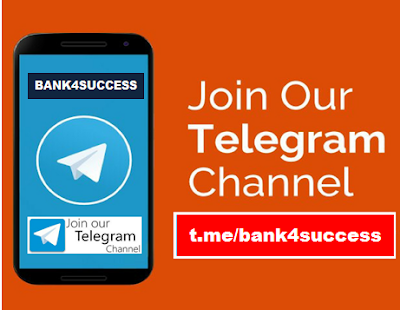 So let us understand the strategies and solve some questions. Since there is time constraint we should NEVER read the sentences again and again without identifying the connections between the sentences. Test setters generally pickup sentences from newspaper articles, books or magazines and hence each sentence has a link to another. Hence it is absolutely necessary to identify the links between sentences. The proven technique or strategy to solve is to identify the links between the sentences and arrive at a coherent paragraphs. To identify the links we need to identify the keywords. One effective way is to identify MANDATORY PAIRS. So let us understand what all mandatory pairs are there and how we can identify them. He was carrying his jacket and walked with his head thrown back. As Anette neared the lamp she saw a figure walking slowly. For a while Michael walked on and she followed twenty paces behind. With a mixture of terror and triumph of recognition she slackened her pace. Since B mentions that Anette saw a figure. So that makes B the first statement. Now read A. It says that HE was carrying his jacket. So that makes BA a mandatory pair. Next is D as she has recognized the figure. And in C the name of the figure is mentioned. Many a times there is a logical/ time bound event chain present in the paragraph jumble. It could be a series of events, steps etc. We can identify the beginning /start of the event and then find the next event and so on. Four days later, Oracle announced its own bid for PeopleSoft, and invited the firm’s board to a discussion. Furious that his own plans had been endangered, PeopleSoft’s boss, Craig Conway, called Oracle’s offer “diabolical”, and its boss, Larry Ellison, a “sociopath”. In early June, PeopleSoft said that it would buy J.D. Edwards, a smaller rival. On June 12th, PeopleSoft turned Oracle down. First sentence is C as it shows the first event in EARLY JUNE, when PeopleSoft announced its plan. Next sentence is A as FOUR DAYS LATER, ORACLE announced ITS OWN plan. B shows that the plan made PeopleSoft boss unhappy. He said something and in next sentence D added by saying MOREOVER. Then on 12th JUNE PeopleSoft turned down the offer. Then two astronomers—the German, Johannes Kepler, and the Italian, Galileo Galilei—started publicly to support the Copernican theory, despite the fact that the orbits it predicted did not quite match the ones observed. His idea was that the sun was stationary at the centre and that the earth and the planets move in circular orbits around the sun. A simple model was proposed in 1514 by a Polish priest, Nicholas Copernicus. Nearly a century passed before this idea was taken seriously. C is the obvious start as it introduces the idea that in 1514, a simple model was suggested. B then explains the idea proposed by Nicholas Copernicus. Then in D “nearly a century passed” indicates the time link. A uses “then” and thus follows D.
Parts of speech such as conjunctions, adjectives and pronouns can also be used to identify the links between sentences. To avoid this, the QWERTY layout put the keys most likely to be hit in rapid succession on opposite sides. This made the keyboard slow, the story goes, but that was the idea. A different layout, which had been patented by August Dvorak in 1936, was shown to be much faster. Yet the Dvorak layout has never been widely adopted, even though (with electric typewriters and then PCs) the anti-jamming rationale for QWERTY has been defunct for years. When certain combinations of keys were struck quickly, the type bars often jammed. C mentions a problem that the qwerty keyboard aimed to solve. E explains the problem in details. A mentions that to avoid THIS [i.e. Type bars often jammed]. Qwerty provided a SLOW but sure way. B tells that a faster [in comparison to QWERTY] keyboard was built. D says that YET [despite the faster keyboard designed by Dvorak] the DVORAK keyboard has not been adopted widely. Sometimes you may find that a sentence has no previous link and introduces the idea of the paragraph jumble. Such sentence can introduce a concept, be a definition, describe an event, state an observation. In short, it will be the Obvious opener of the paragraph. A good way to find such sentence would be to look at the first letter of the option and read only that sentence to gauge whether the sentence is an obvious opener or not. so that special education can be provided to the dull. In other words, intelligence tests give us a norm for each age. Intelligence is expressed as intelligence quotient, and tests are developed to indicate what an average child of a certain age can do: what a 5-year-old can answer, but a 4-year-old cannot, for instance. Binet developed the first set of such tests in the early 1900s to find out which children in school needed special attention. Intelligence can be measured by tests. Now according to the options, we have 3 sentences that can be obvious opener. As you can see D says SUCH tests. That means either it should define what tests or a statement prior to it should define the tests as we use SUCH when we have mentioned before hand something about the word. Since D does not mention that, some other statement should and hence D cannot be obvious openers. C looks attractive as an obvious opener as it says the intelligence is expressed as intelligence quotient and tests are developed. Now for one moment let us consider this option. Then what about E, which also introduces the idea that intelligence can be measured by tests. Since it does not have a word such as THUS, HENCE it cannot be conclusion it can be only at the start of the paragraph or not in the paragraph at all. That means E is START of the idea. Hence E is the obvious opener. There are certain words – firstly, secondly, then, however, consequently, on the other hand, etc. – which show how the idea given in the paragraph jumble flows from start to finish. We can identify these words and then look for the sentence that comes before or after these sentences. Cause and Effect: Words or phrases explicitly indicating that one thing causes another or logically determines another. Continuing Idea Words: These words or phrases support a given sentence, idea or example. Sentences containing these words will generally not be the opening sentence. These sentences will follow immediately the sentence supported. When it appeared last April at the Scripps Research Institute in La Jolla, California, scientists thought it had spoiled their experiment. Within an hour of its formation, it had commandeered the organic material in a thimble-size test tube and started to make copies of itself. Yet its behavior was astonishingly lifelike. Then the copies made copies. But this snippet of synthetic RNA -- one of the master molecules in the nuclei of all cells -- proved unusually talented. The molecule was not alive, at least not in any conventional sense. Explanation: A cannot be the start point as it uses “it”. Since “it” is a pronoun, it should point at something. Since A does not tell what “it” is, A should come after a sentence that defines what “it” refers to. Same is the case with B. C, D and E use a contrasting word and thus have to be placed after another sentence. That leaves F as the start. F states that the molecule was not alive. C then continues it by contrasting it by stating that “yet its behavior was lifelike”. Now it is clear that we are talking about molecule and thus A will come after A. A states that scientists thought that the molecule had spoiled their experiment. E will come after it as it states “but” and states that the molecule was talented. B comes after E by describing the talent i.e. making its copies. In D it is written that “then”, which means after the action described in E, copies made copies. The most effective way to solve paragraph jumbles is to be mechanical in finding links or mandatory pairs. You will find that finding links will give you greater accuracy than any other strategy. And remember PRACTICE at least 100 questions to ace paragraph jumbles. For starters we are giving you 10 to start with. The Answers with explanation will be posted separately. For more you can always request us. Directions for Questions 1 to 10: The sentences given in each question, when properly sequenced, form a coherent paragraph. Each sentence is labeled with a letter. Choose the most logical order of sentences from among the given choices to construct a coherent paragraph. The two neighbours never fought each other. Fights involving three male fiddler crabs have been recorded, but the status of the participants was unknown. They pushed or grappled only with the intruder. We recorded 17 cases in which a resident that was fighting an intruder was joined by an immediate neighbour, an ally. We therefore tracked 268 intruder males until we saw them fighting a resident male. In the case of King Merolchazzar’s courtship of the Princess of the Outer Isles, there occurs a regrettable hitch. She acknowledges the gifts, but no word of a meeting date follows. The monarch, hearing good reports of a neighbouring princess, dispatches messengers with gifts to her court, beseeching an interview. The princess names a date, and a formal meeting takes place; after that everything buzzes along pretty smoothly. Royal love affairs in olden days were conducted on the correspondence method. Events intervened, and in the late 1930s and 1940s, Germany suffered from “over-branding”. The British used to be fascinated by the home of Romanticism. But reunification and the federal government’s move to Berlin have prompted Germany to think again about its image. The first foreign package holiday was a tour of Germany organized by Thomas Cook in 1855. Since then, Germany has been understandably nervous about promoting itself abroad. The wall does not simply divide Israel from a putative Palestinian state on the basis of the 1967 borders. A chilling omission from the road map is the gigantic ‘separation wall’ now being built in the West Bank by Israel. It is surrounded by trenches, electric wire and moats; there are watchtowers at regular intervals. It actually takes in new tracts of Palestinian land, sometimes five or six kilometers at a stretch. Almost a decade after the end of South African apartheid, this ghastly racist wall is going up with scarcely a peep from Israel’s American allies who are going to pay for most of it. Luckily the tide of battle moved elsewhere after the American victory at Midway and an Australian victory over Japan at Milne Bay. It could have been no more than a delaying tactic. The Australian military, knowing the position was hopeless, planned to fall back to the south-east in the hope of defending the main cities. They had captured most of the Soloman Islands and much of New Guinea, and seemed poised for an invasion. Not many people outside Australia realize how close the Japanese got. Call it the third wave sweeping the Indian media. Now, they are starring in a new role, as suave dealmakers who are in a hurry to strike alliances and agreements. Look around and you will find a host of deals that have been inked or are ready to be finalized. Then the media barons wrested back control from their editors, and turned marketing warriors with the brand as their missile. The first came with those magnificent men in their mahogany chambers who took on the world with their mighty fountain pens. The celebrations of economic recovery in Washington may be as premature as that “Mission Accomplished” banner hung on the USS Abraham Lincoln to hail the end of the Iraq war. Meanwhile, in the real world, the struggles of families and communities continue unabated. Washington responded to the favorable turn in economic news with enthusiasm. The celebrations and high-fives up and down Pennsylvania Avenue are not to be found beyond the Beltway. When the third quarter GDP showed growth of 7.2% and the monthly unemployment rate dipped to 6%, euphoria gripped the US capital. They should also update their competence to guide their subordinates; this would be possible only if they keep in regular touch with new processes, machines, instruments, gauges, systems and gadgets. .Managers must lead by example; they should not be averse to giving a hand in manual work; if required. Work must be allocated to different groups and team members in clear, specific terms. Too much of wall-building is detrimental to the exercise of the 'personal charisma' of the leader whose presence should not be felt only through notices, circulars or memos, but by being seen physically. Simple, clean living among one's people should be insisted upon. This would mean the maintaining of an updated organization chart; laying down job descriptions; identifying key result areas; setting personal targets; and above all, monitoring of performance, to meet organizational goals. Every ruthless decision will be accepted easily if the situation at the moment of committing the act is objectively analysed, shared openly and discussed rationally. Despite the passage of time, a large number of conflicts continue to remain alive, because the wronged parties, in reality or in imagination, wish to take revenge upon each other, thus creating a vicious circle. People hurt others, at times knowingly, to teach them a lesson and, at other times, because they lack correct understanding of the other person's stand. The delegation of any power, to any person, is never absolute. At times, managers are called upon to take ruthless decisions in the long-term interests of the organization. Today Asians are a success story. I cannot help making a comparison to the anti-Jewish sentiment in Nazi Germany when Jewish people were successful in business. A few years ago, hostility towards Japanese-Americans was so strong that I thought they were going to reopen the detention camps here in Kolkata. But do people applaud President Clinton for improving foreign trade with Asia? Now, talk about the ‘Arkansas-Asia Connection’ is broadening that hatred to include all Asian- Americans. No, blinded by jealousy, they complain that it is the Asian-Americans who are reaping the wealth.